I love face masks whether it is clay based ones, cream ones or the self-heating ones. If you have been following my blog, you will know that I use MJ face masks a lot. However, recently when I got the chance to try out natural masks for sensitive skin from The Herbjar, I welcomed the opportunity with excitement. Herbjar products are free from parabens, preservatives, alcohol and artificial colours and fragrances. All these factors made me more keen to try out the range. The first product I tried out was the Sensitive Skin Care - 100% Natural Exfoliating and Toning Face Mask with Gotu Cola and Green Tea Extracts. This mask comes in a powder form and you need to add water as per the directions mentioned to form a paste. Apply this paste on your face and neck avoiding the eye and lip area. Let the mask stay for around 10 minutes and as it starts to harden, wash it off with sufficient water. If you wish to keep it on longer, then make sure that you keep it moistened with a wet cotton pad. The mask has an impressive ingredient list consisting of White Clay, Mearl Red Marine Algae, Oarweed, Gotu Cola Extract and Green Tea Extract. It gives a nice cleansing and tightening effect. When you wash the mask off, you will notice that the clay has lifted the dead cells off while also tightening and toning the skin. 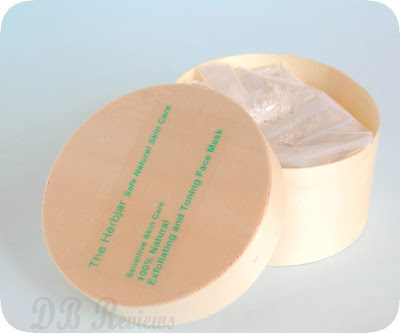 The White Clay used in the mask is an excellent cleanser working well even with sensitive skin. 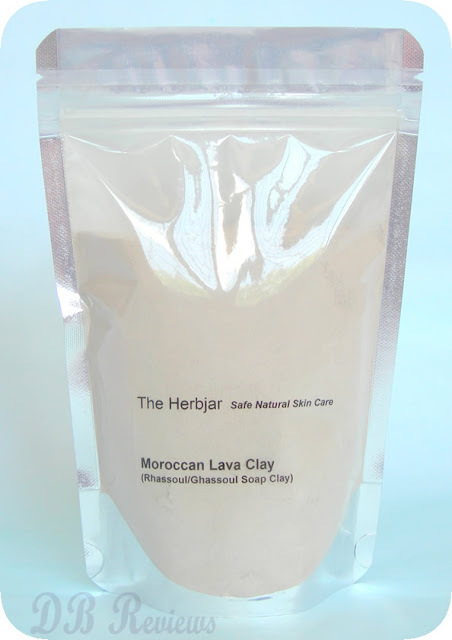 The second product that I am reviewing is the Moroccan Lava Clay. Also known as Rhassoul or Ghassoul Moroccan Soap Clay, this product is a 1005 natural alternative to soap or shower gel. You can also use it instead of shampoo. If you remember I had mentioned in some of the earlier posts that my facial skin had become overly sensitive and was having small breakouts. Since then I had stopped using face washes and was sticking to a glycerine soap. And now, I gave this a try. The clay is a fine soft powder and you need to mix one part of the clay with two parts of water to make a paste which has a yoghurt like consistency. Wet your face, apply the paste, gently rub and then rinse off. The clay has a wonderful texture and cleans pretty well. It doesn't irritate my sensitive skin at all which is no wonder because Rhassoul clay is more gentle than most other clays. This clay not only cleanses the skin well but also improves the skin texture if used regularly. The instructions that come with the product suggest mixing with water, but I also tried mixing it with yoghurt to make a wonderful cooling cleanser. Overall, I liked both these products. This was the first time I used Rhassoul clay and I am liking it. It is non-irritating, you can use it on skin and scalp as well. And the best part is that cleanses well without stripping off your skin's natural oils. I would recommend you to give this product a try. You can check out all of Herbjar's product on their website.